Maryville Graduates: Where Are They Now? Mayville University has thousands of graduates that made their mark on campus. But, many people don’t get a chance to catch up with graduates and see where they are now. Kennedy Oltman playing the guitar. Photo courtesy of Kennedy Oltman. 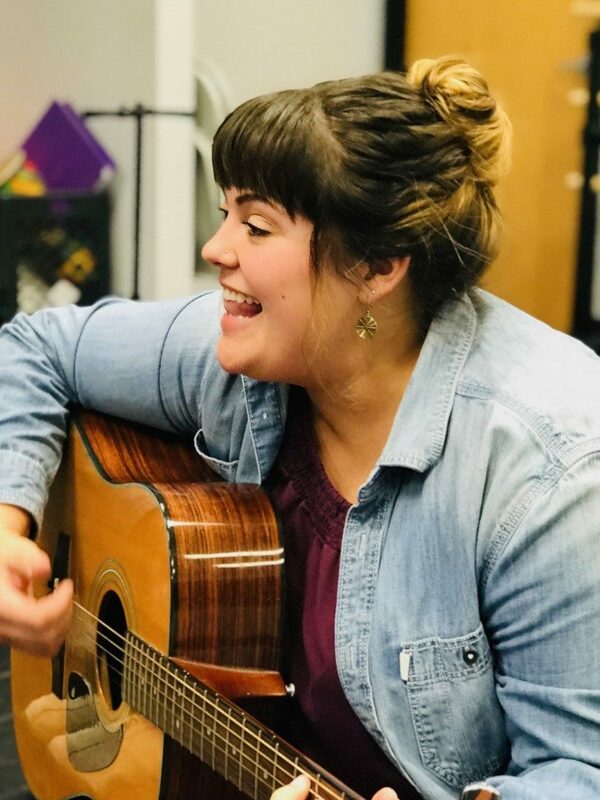 Kennedy Oltman, a Maryville graduate in May 2018, left with an undergraduate degree in Music Therapy. When asked about her job now, she states that she “has a full-time internship at Midwest Music Therapy services and a part time job teaching piano and voice lessons all over the St. Louis area.” Her part time job is at a company called M Strong Studios and is located in the St. Louis area. On a day-to-day basis, Oltman works with individuals living with intellectual and developmental disabilites in school, home and community settings. “I use music as a tool to help these individuals reach non-musical goals like math and reading skills, social/emotional skills, speech/language skills, fine/gross motor skills and more. I meet them where they are with my guitar, percussion instruments and assistive tools for weekly sessions. Everyone who experiences a music therapy session says we have the most fun, and we definitely do,” said Oltman. Life without college for Oltman is very different, she says that it’s a lot less stressful, there’s more free time but she still misses being on campus with her friends and her professors. Luckily, she is able to still stop by campus and see her friends, professors, and support old organizations that she used to be a member of. Although Oltman, had a hard time leaving Maryville and all of its glory, she enjoys being in the city and having free time while she’s not busy at work. Although Oltman, had a hard time leaving Maryville and all of its glory, she enjoys being in the city and having free time while she’s not busy at work. Erica Magelitz, a Maryville graduate of 2001, left with a Bachelor’s degree in Physical Therapy. She enjoyed the ride, but agreed that like many, it is a hard program to get through. Magelitz works in Effingham, IL. at St. Anthony’s Hospital. 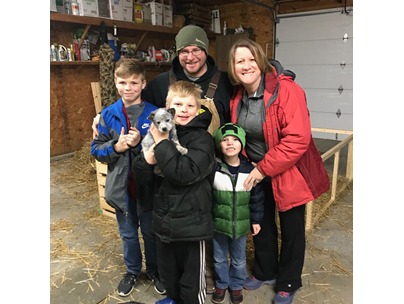 She also touches on how different life is now, “It is very different from college having to juggle a demanding full time job, marriage, and three kids,” said Magelitz. Erica Magelitz and her family. Photo courtesy of Erica Magelitz. Although Magelitz is really busy, she still finds time to visit her two cousins that attend Maryville, Emily Armstrong and Morgan Deters. Like Oltman and Magelitz, many graduates are out in the professional world pursuing their passion today.